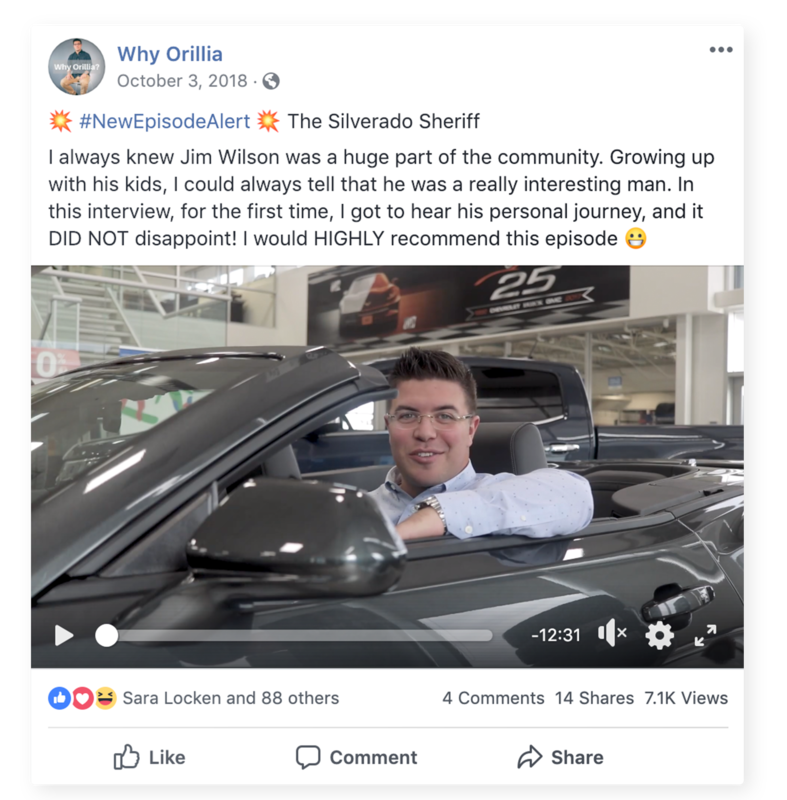 One of the first marketing lessons you must learn is that a single ad or a "viral" post isn't what transforms your business. 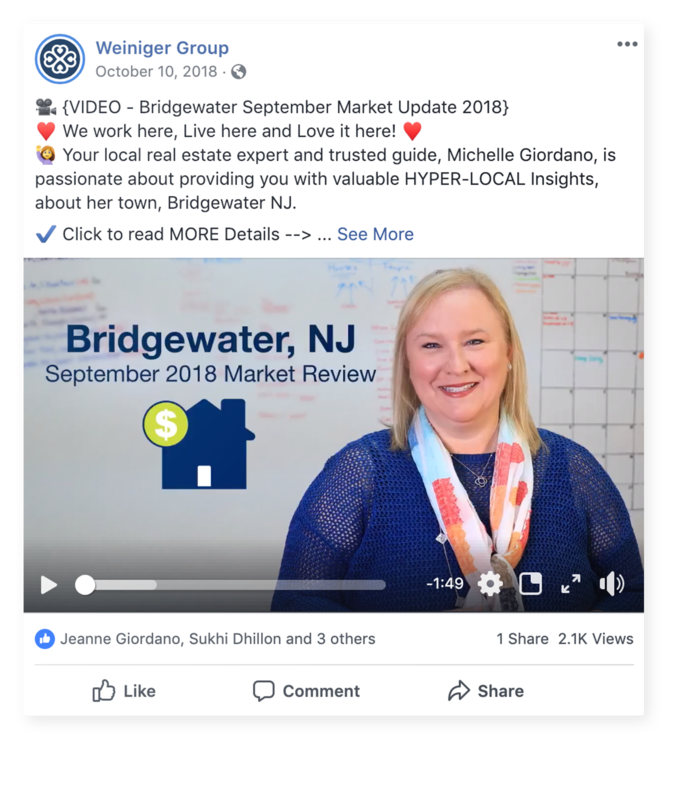 The best real estate agents are consistently marketing their most valuable assets throughout the year. 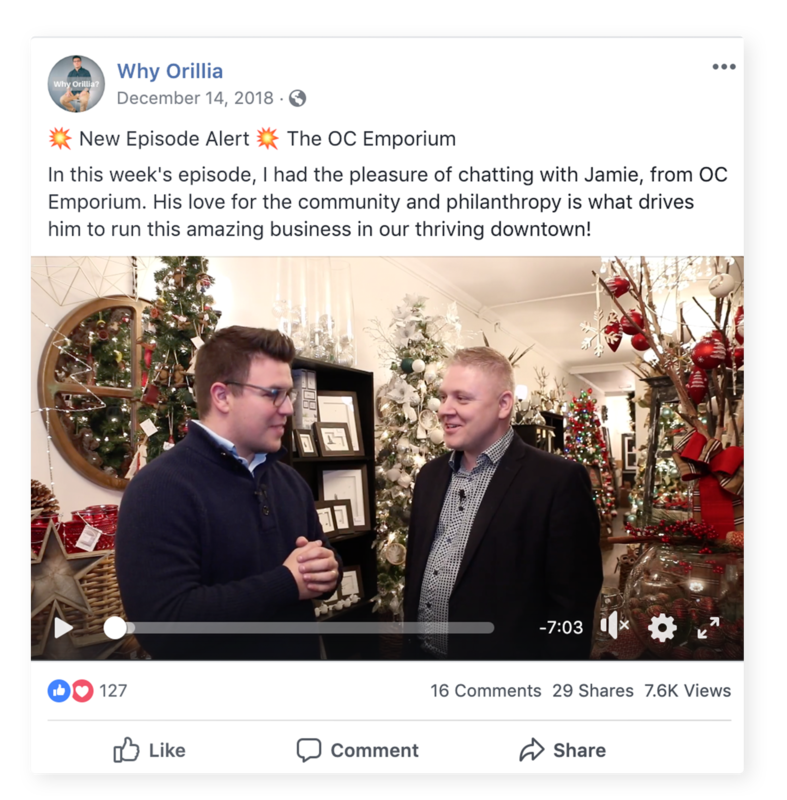 According to Dr. Jeffrey Lant's Rule of 7, in order for your brand to be memorable, it has to be heard by a consumer at least seven times over an 18 month period of time. 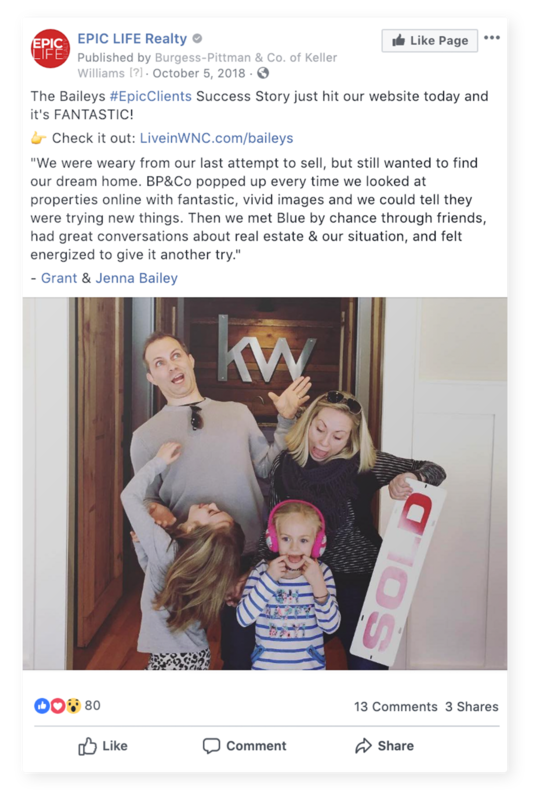 So how do you achieve marketing bliss? 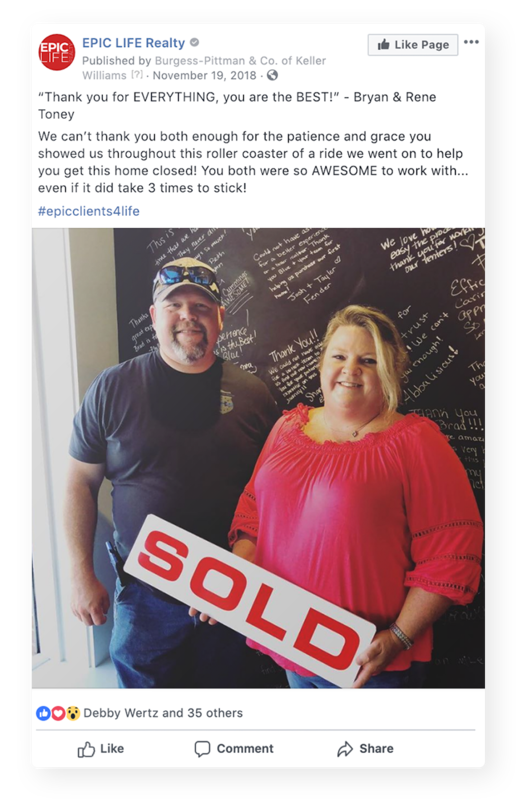 You ignore "analysis paralysis" and execute consistently. 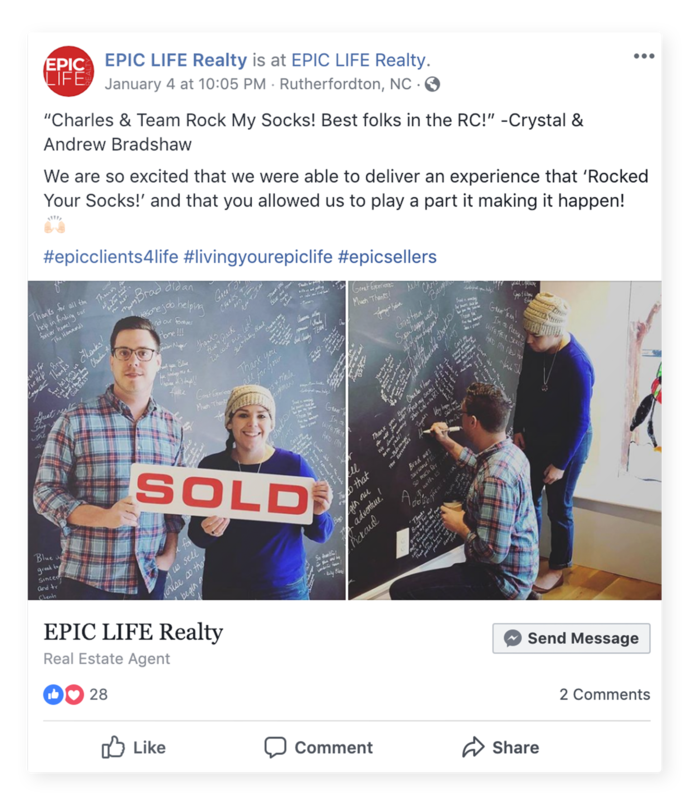 We put together a list of how our customers at Curaytor are effectively marketing their listings, blogs, community videos, and success stories. 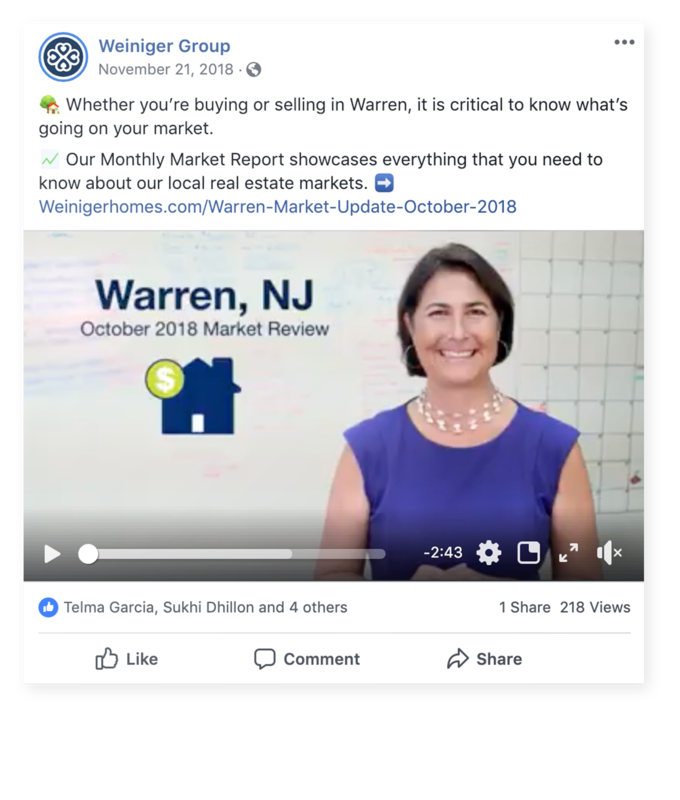 Highlighting your listings during every stage of the selling process gives you the opportunity to showcase what your business does for customers. 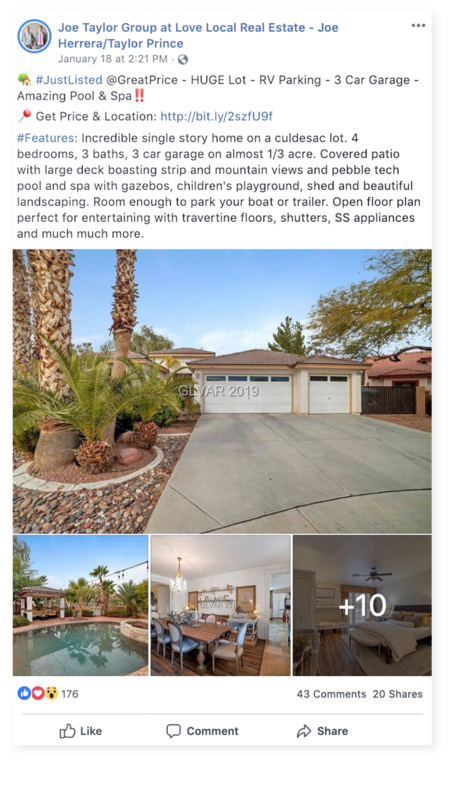 Use a Coming Soon post to build the buzz, Just Listed ad to intrigue potential buyers, and Just Sold promo to attract new sellers. 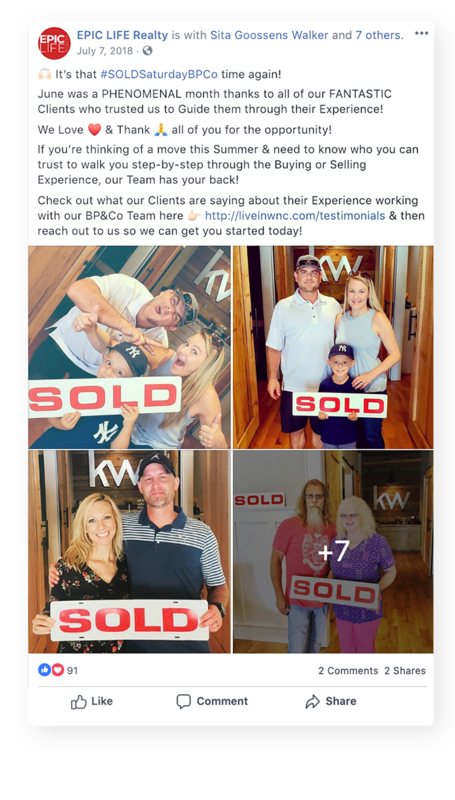 Sharing your knowledge of the area you specialize in is key to gaining trust with potential clients. 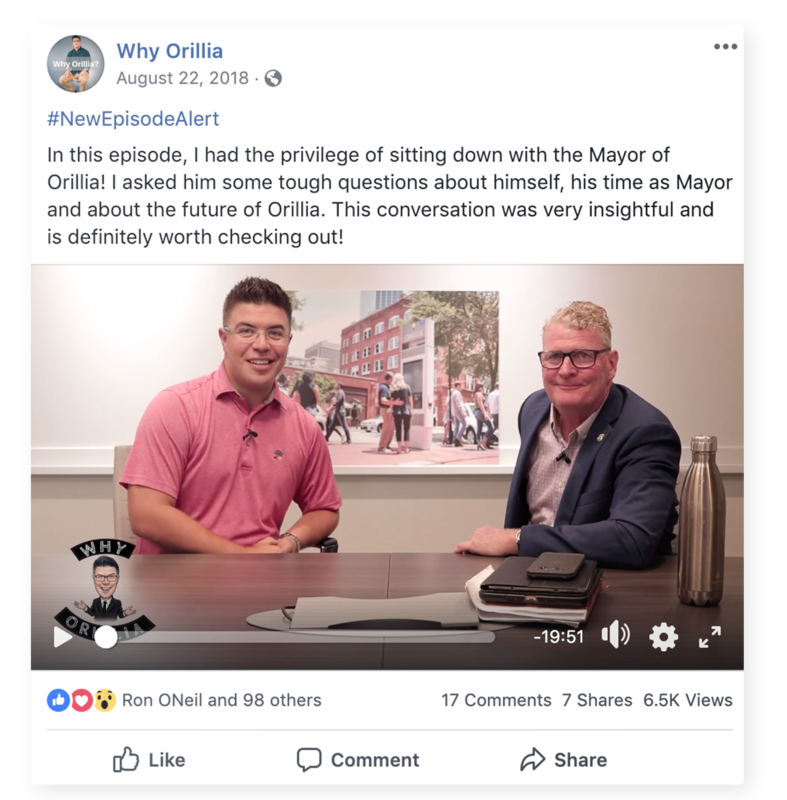 Jordan Rossman uses his Facebook page Why Orillia to do just that. 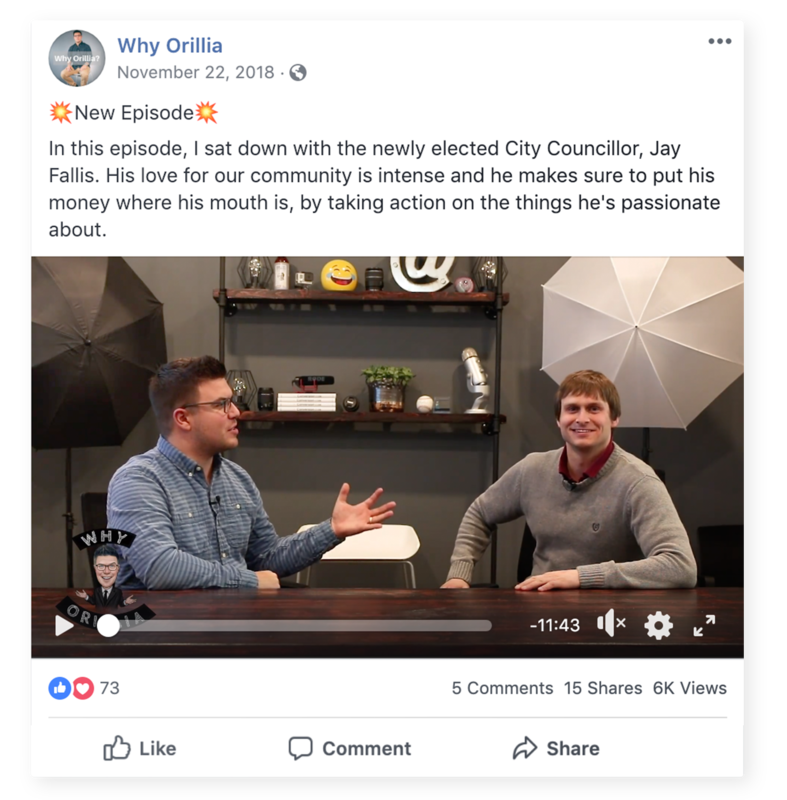 Jordan uses this page to host his weekly episode of Why Orillia, a video series highlighting local businesses and events. 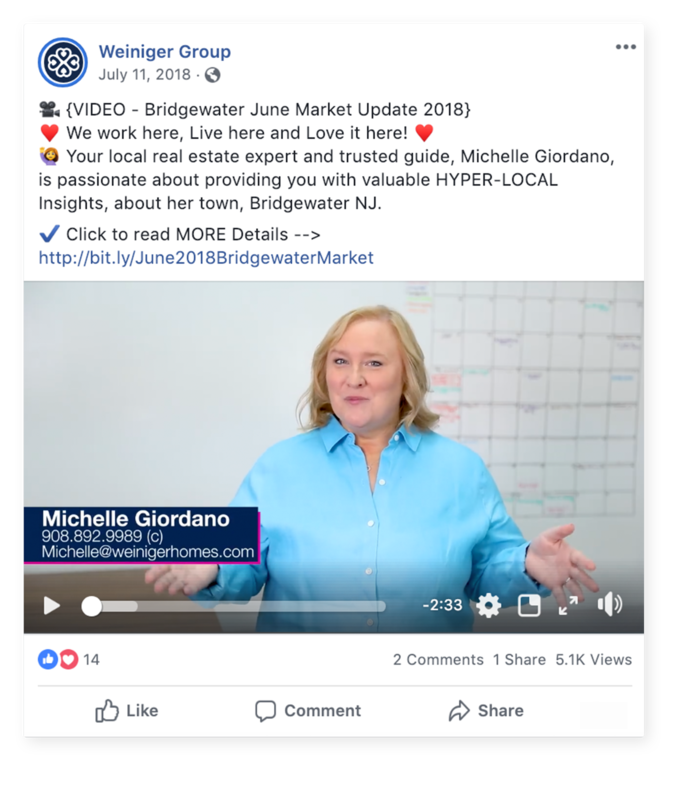 Having a well produced, high-quality video highlighting your knowledge can influence whether a potential client will visit your website. 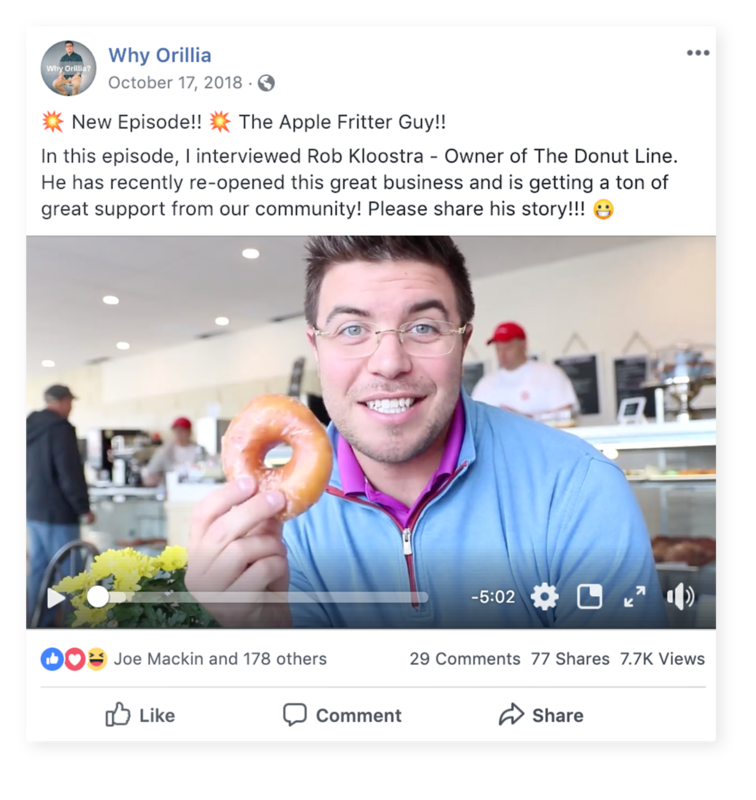 In fact, between 60%-70% of those who view a company’s Facebook video then proceed to visit that company’s website (Forbes). 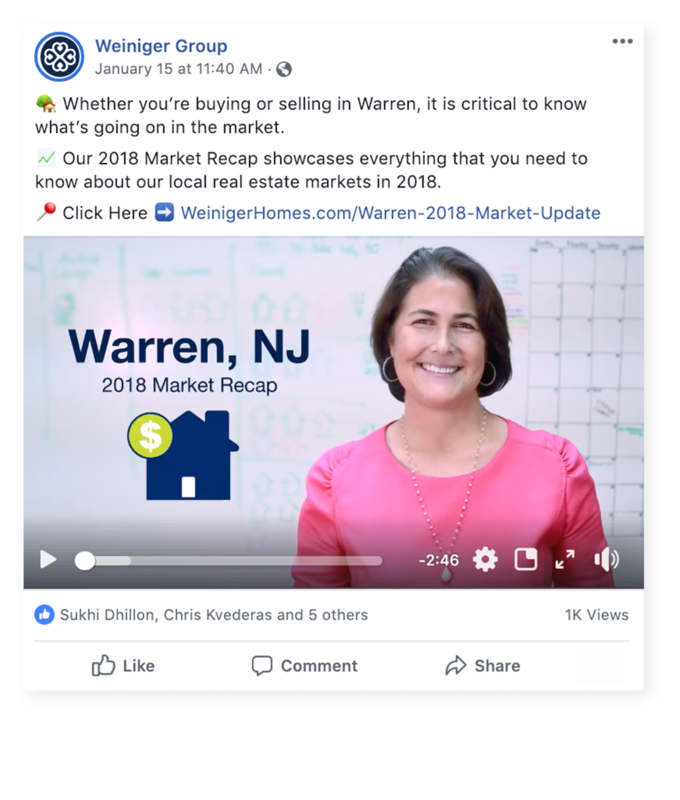 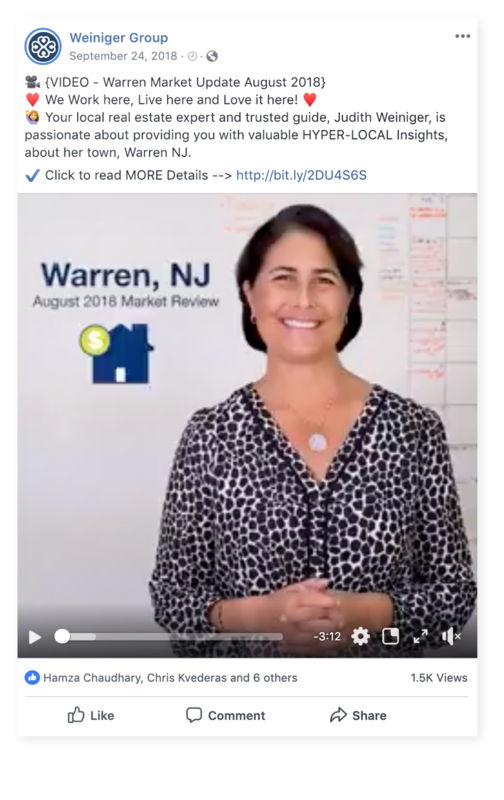 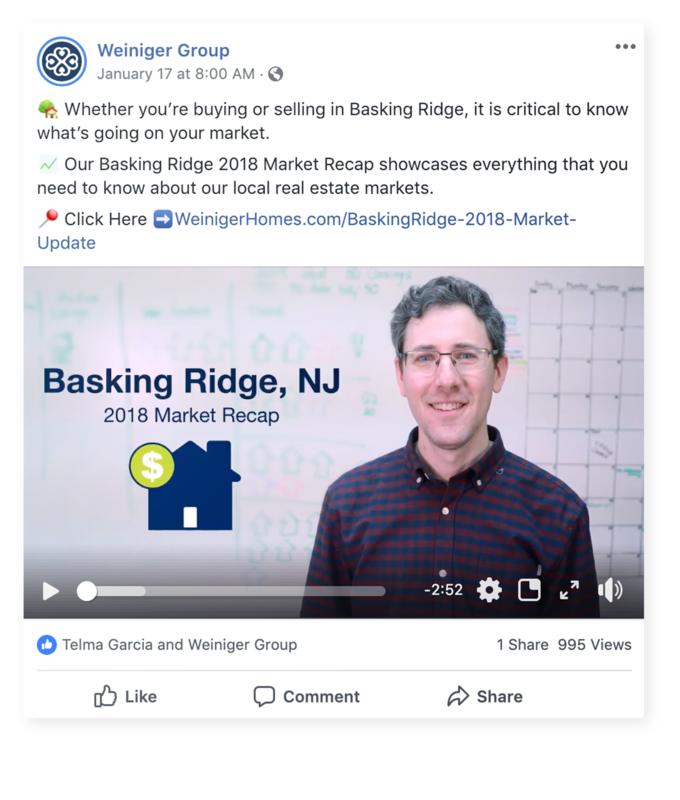 The Weiniger Group uses market updates to provide their audience with relevant and up to date information on the real estate market. 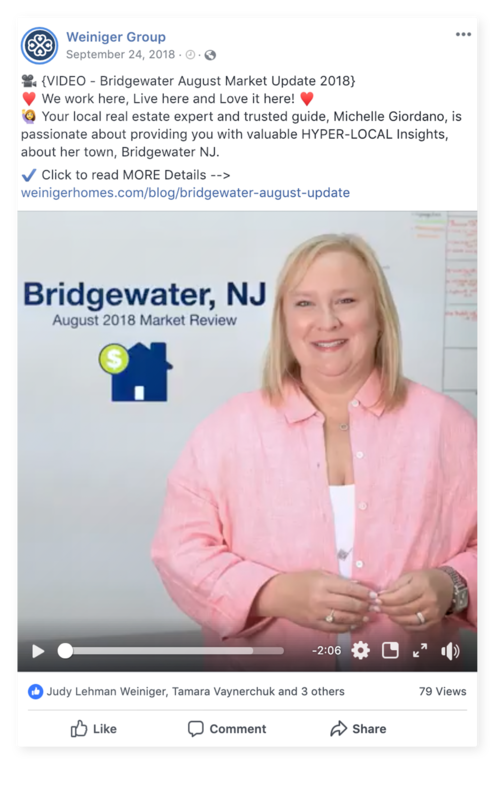 At first glance, these campaigns look pretty average: a cute image with pretty good engagement. 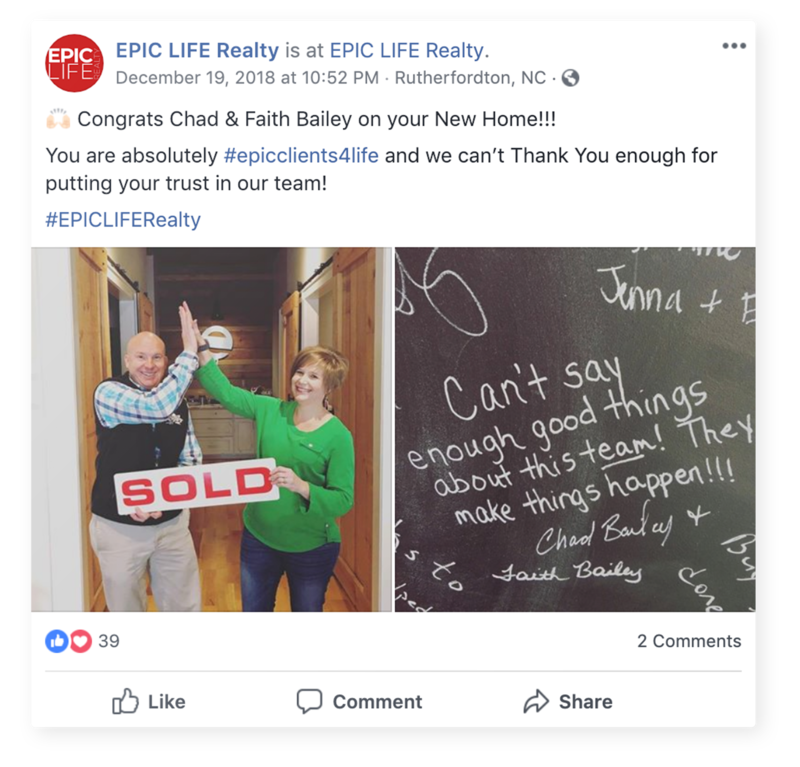 The key to what makes Epic Life's success stories so epic is consistency. 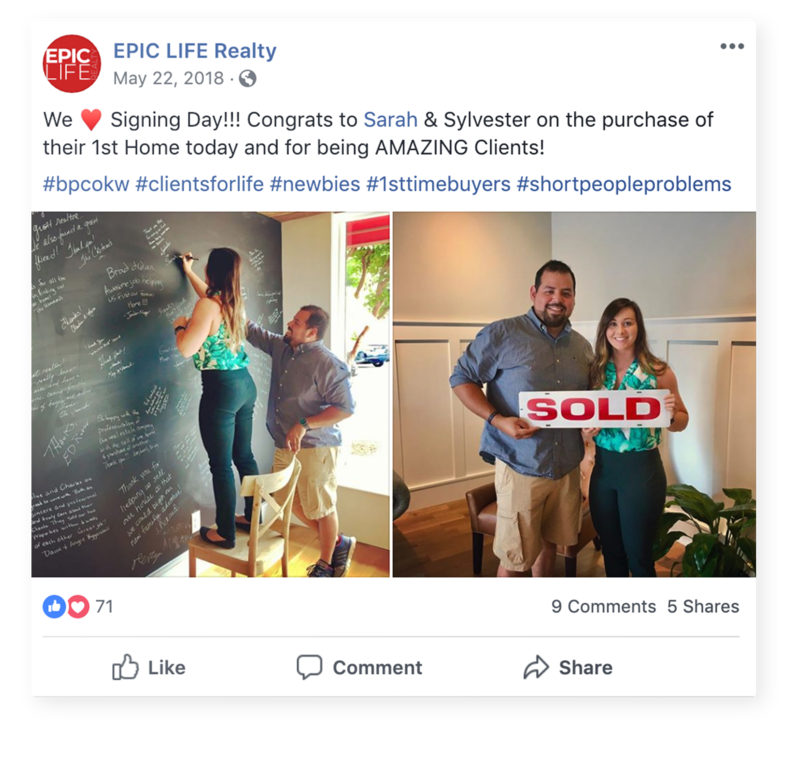 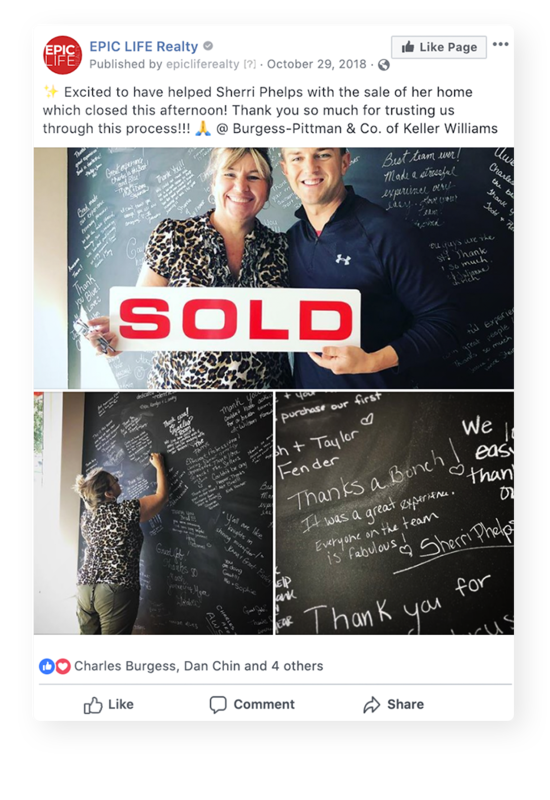 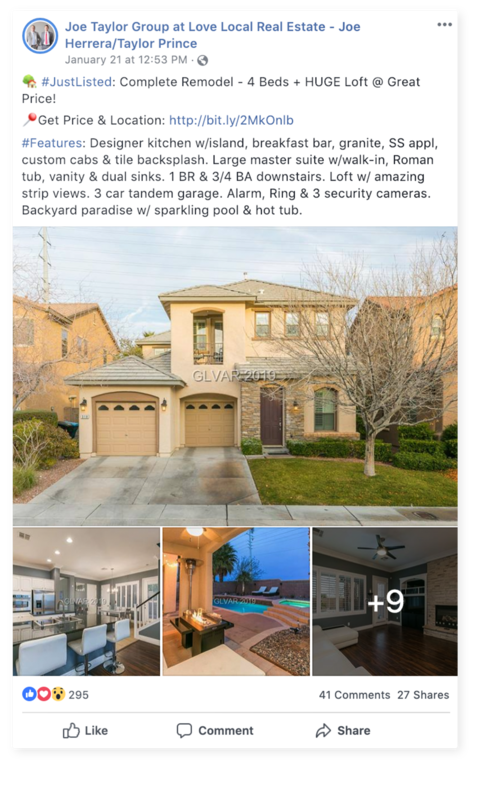 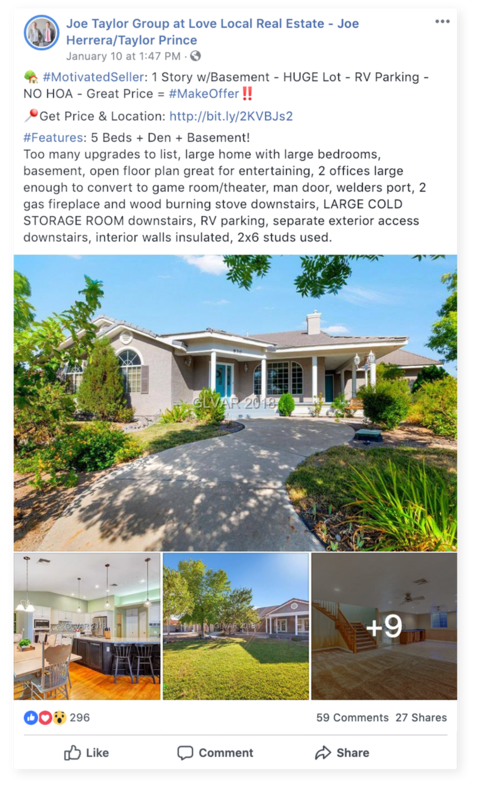 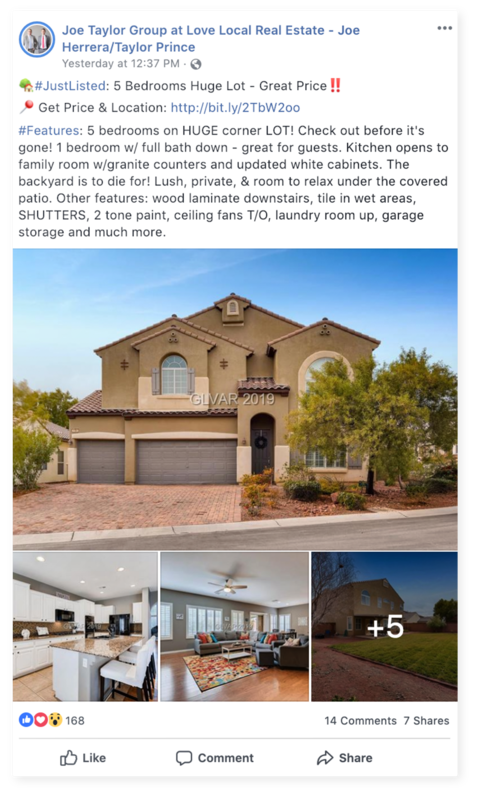 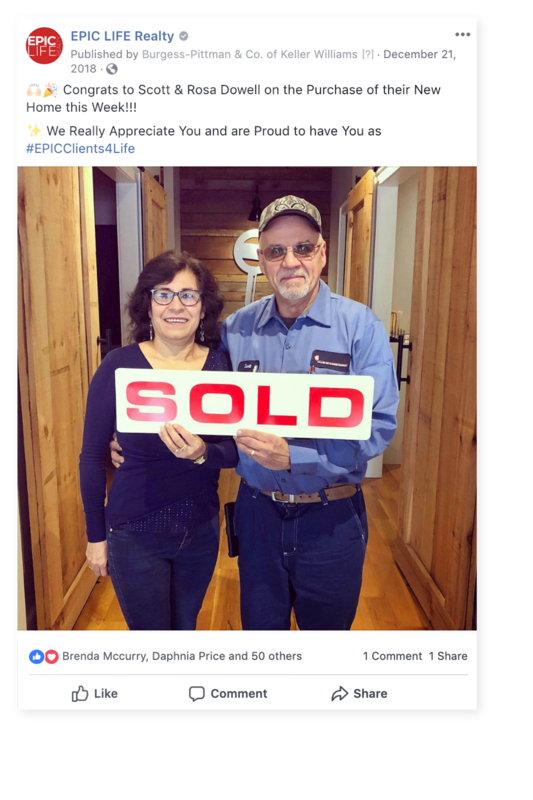 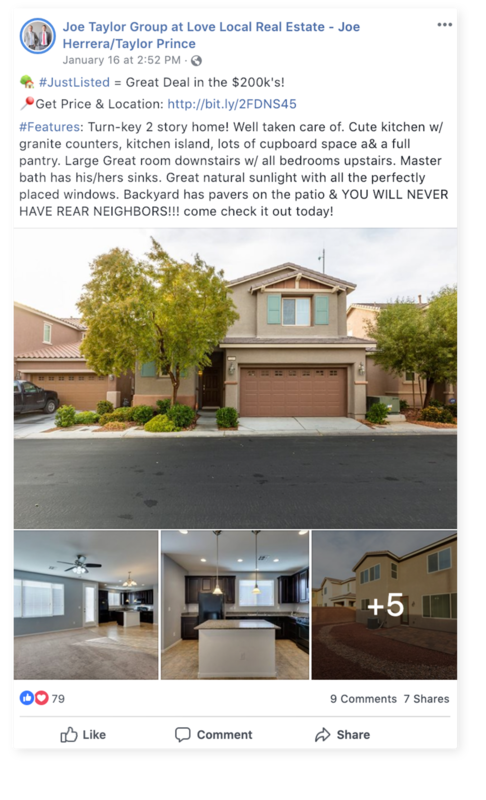 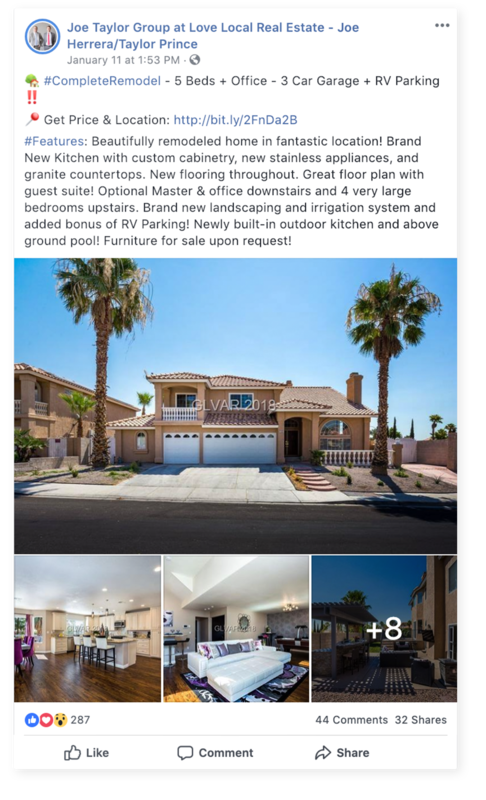 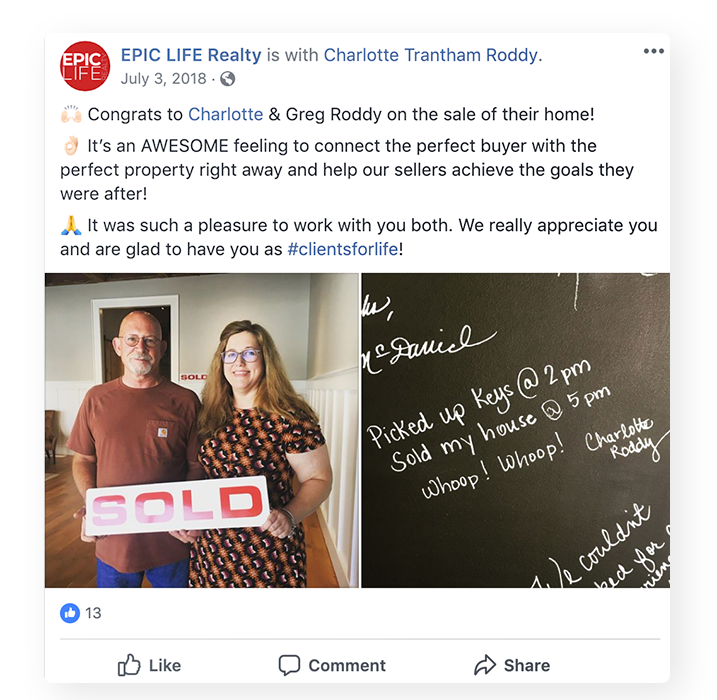 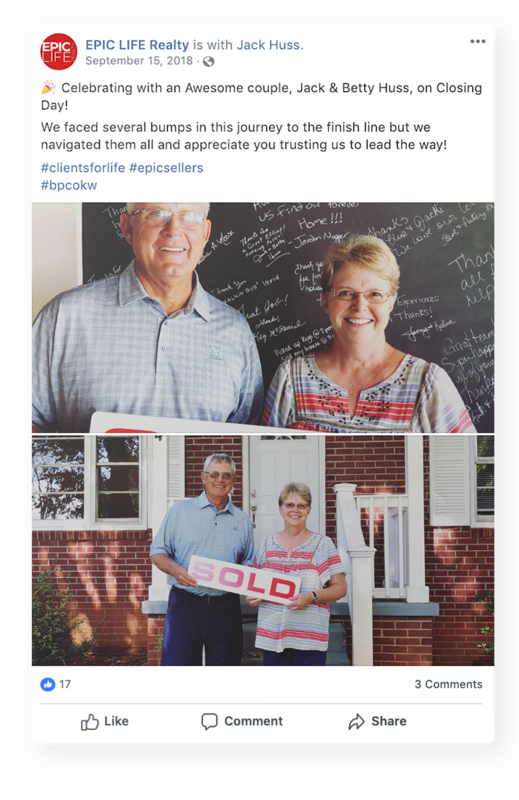 As you can see below, each image is taken in the same place, tells a short story or quote about the client's experience, and positions the clients as the hero, not Epic Life Realty. 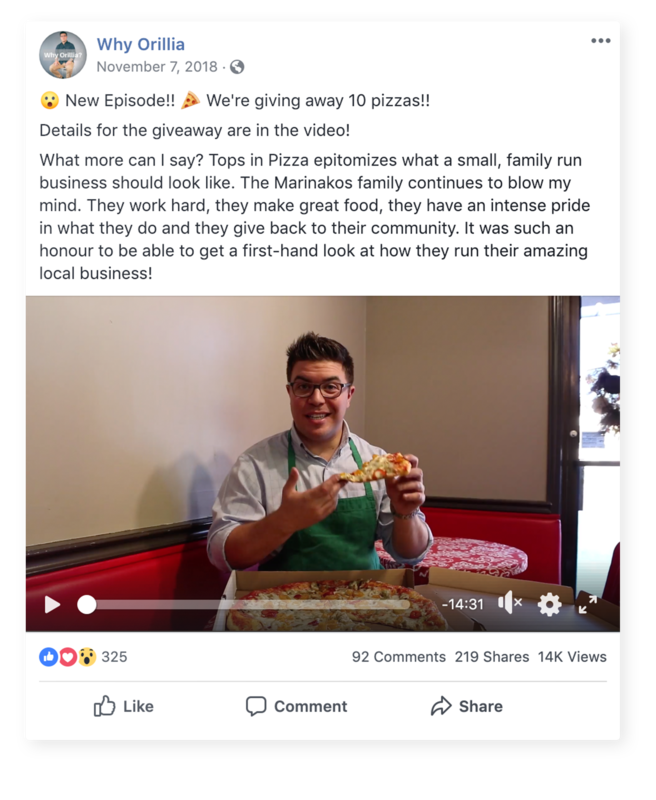 Want Curaytor To Do your FAcebook Marketing?